IYAZ MANILA and CEBU CONCERT Ticket Outlet - Visit www.smtickets.com for ticket reservation. 3. No limit on ticket purchase. 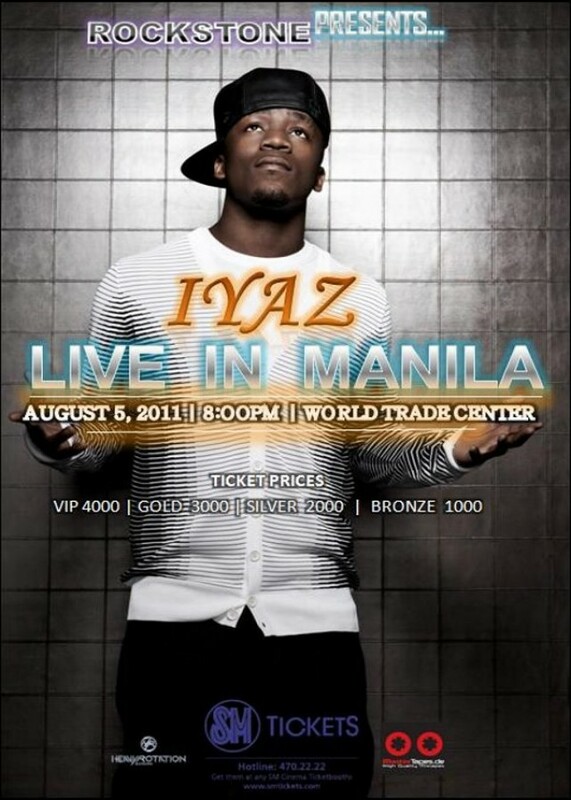 IYAZ LIVE in MANILA Concert! IYAZ LIVE in CEBU Concert! IYAZ Cebu Concert Venue will be at The Waterfront Cebu City Hotel, Cebu City on Thursday August 04, 2011 09:00pm. Visit www.smtickets.com for ticket reservation. 0 comments: on "IYAZ MANILA & CEBU CONCERT Tickets Outlet Buy 1-take-1 Promo"